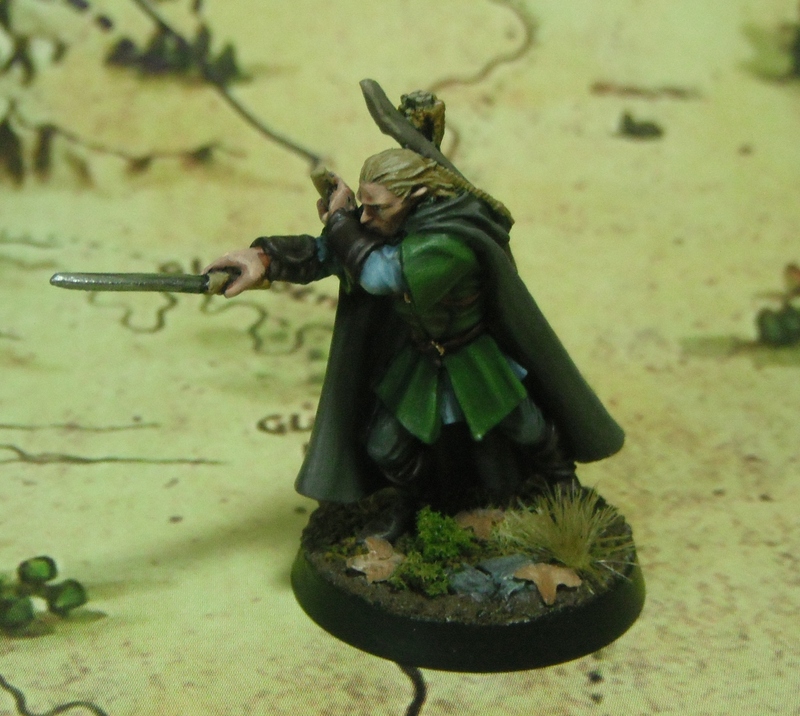 Legolas from the ‘Breaking of the Fellowship’ set is finished. 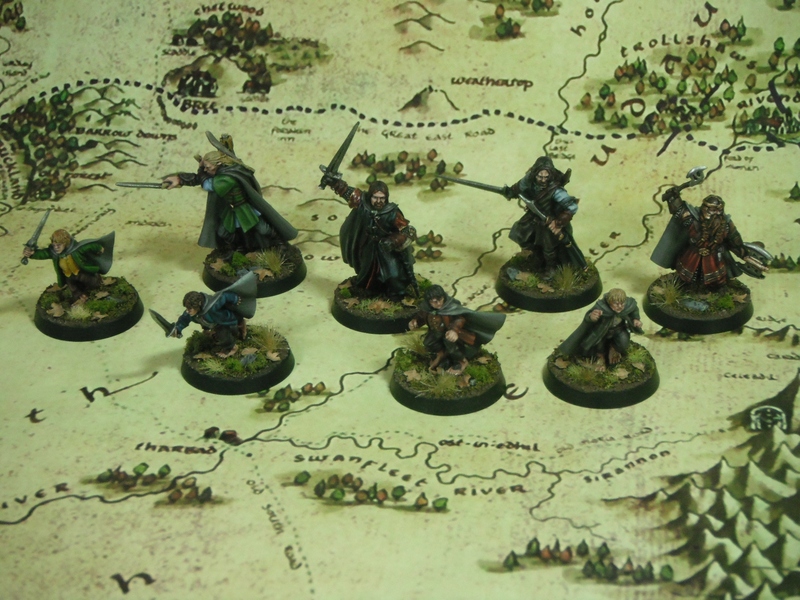 I have now completed the eight members of the Fellowship who were at Amon Hen. 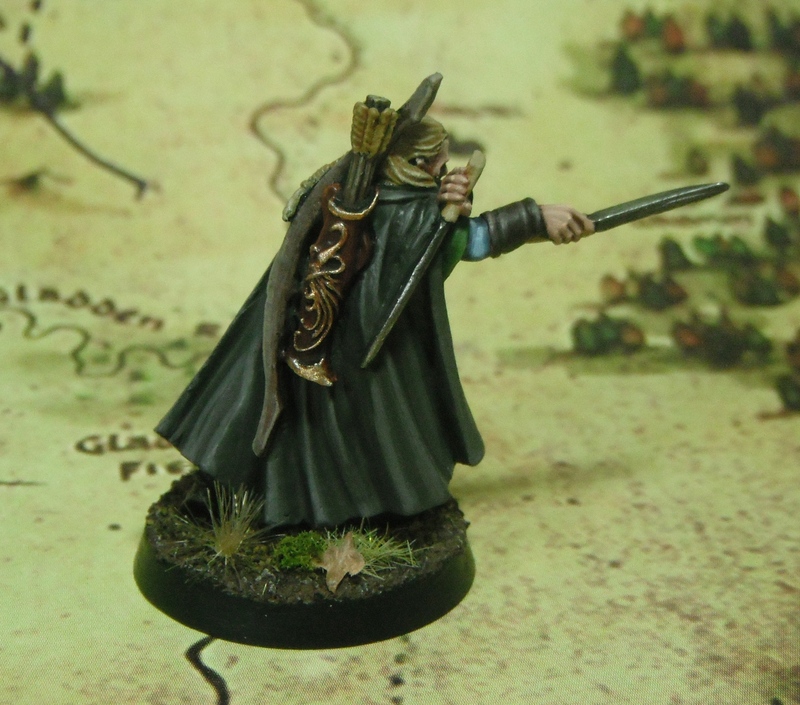 The set also included a Gandalf model depicting him shortly before falling in Moria (his ‘You shall not pass!’ pose) which I will no doubt get around to painting at some point. He was tall as a young tree, lithe, immensely strong, able swiftly to draw a great war-bow and shoot down a Nazgul, endowed with the tremendous vitality of Elvish bodies, so hard and resistant to hurt that he went only in light shoes over rock or through snow, the most tireless of all the Fellowship. Legolas gave me the most trouble out of all the models from the Fellowship and I found it difficult to match the green of his tunic to the film (it still isn’t perfect). 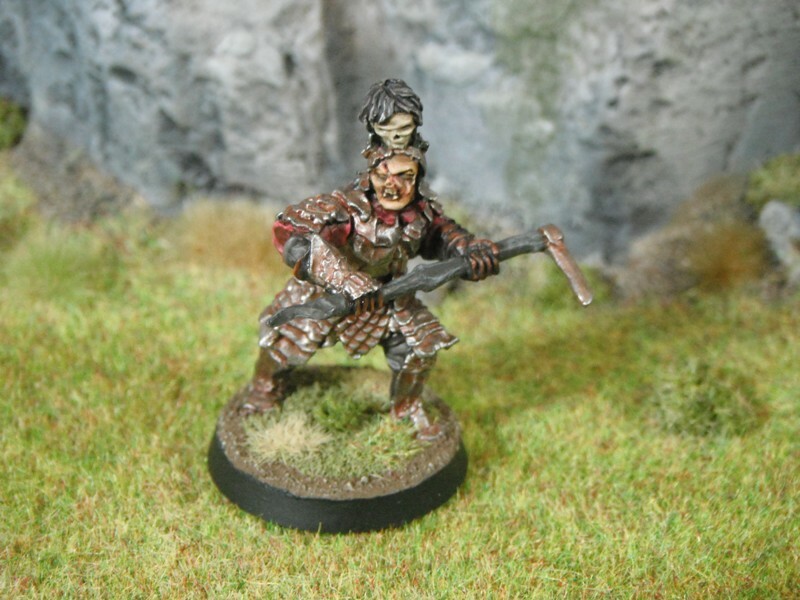 The tunic was painted Luftwaffe Green, shaded with Athonian Camo Shade and highlighted with Loren Forest followed by Straken Green. 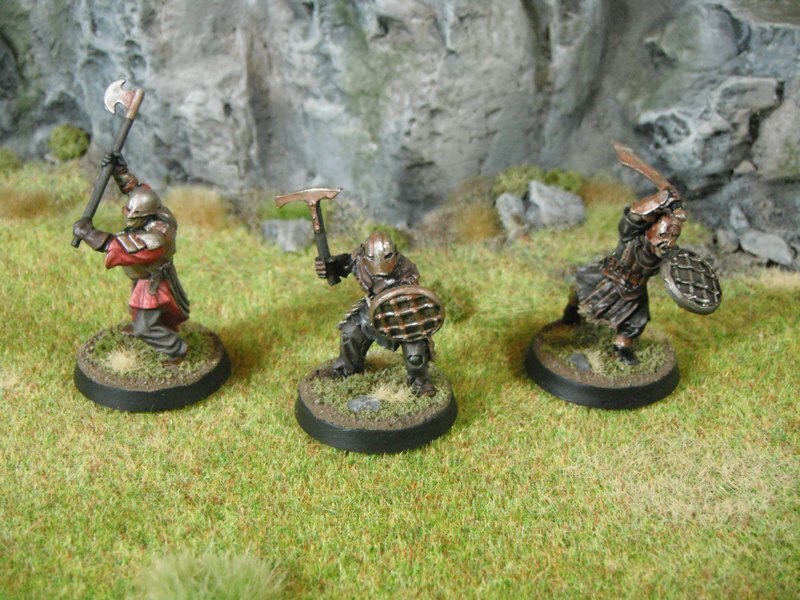 I also have a few other projects on the desk which I intend to get on with now that these guys are done. 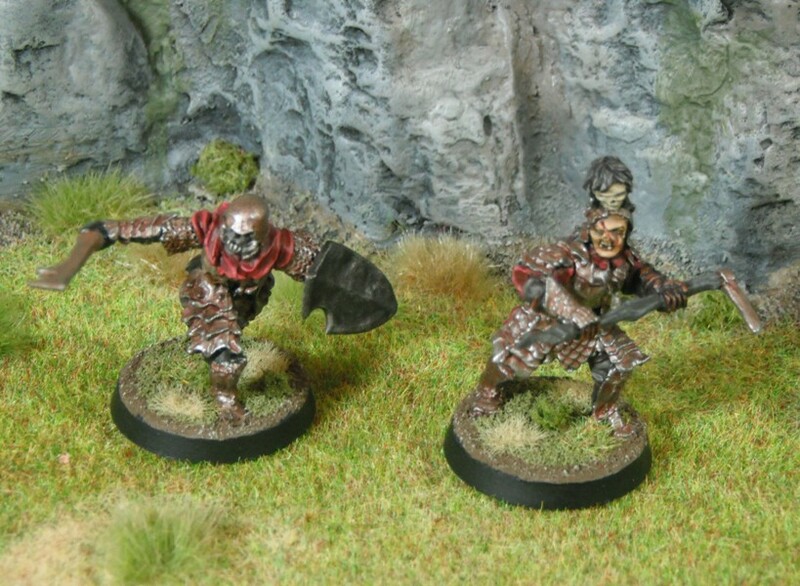 I have my recently purchased ‘Escape from Goblin Town’ boxed set (which I will share with you later in the week) and my Dark Angel army to be getting on with. 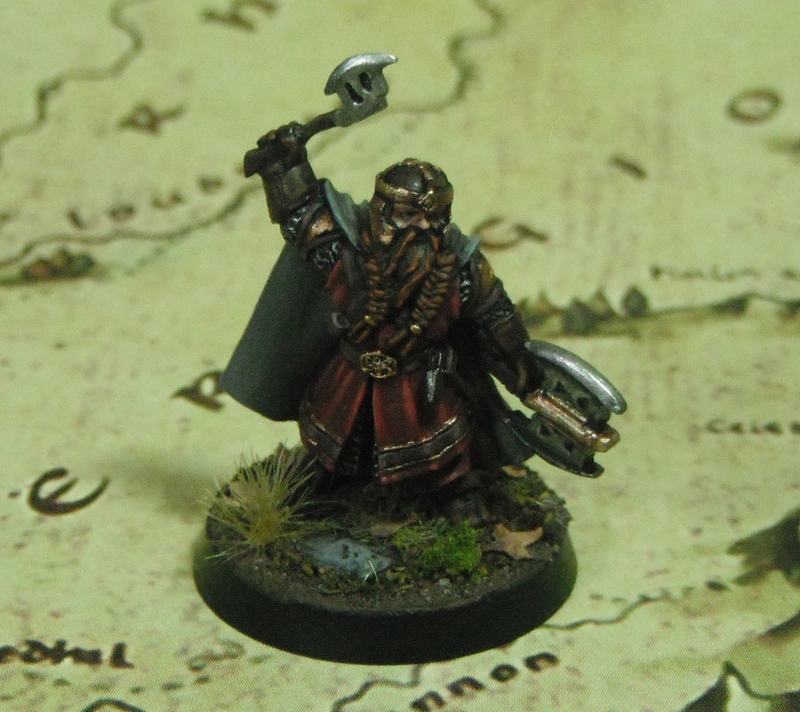 Another member of the Fellowship, Gimli son of Gloin. 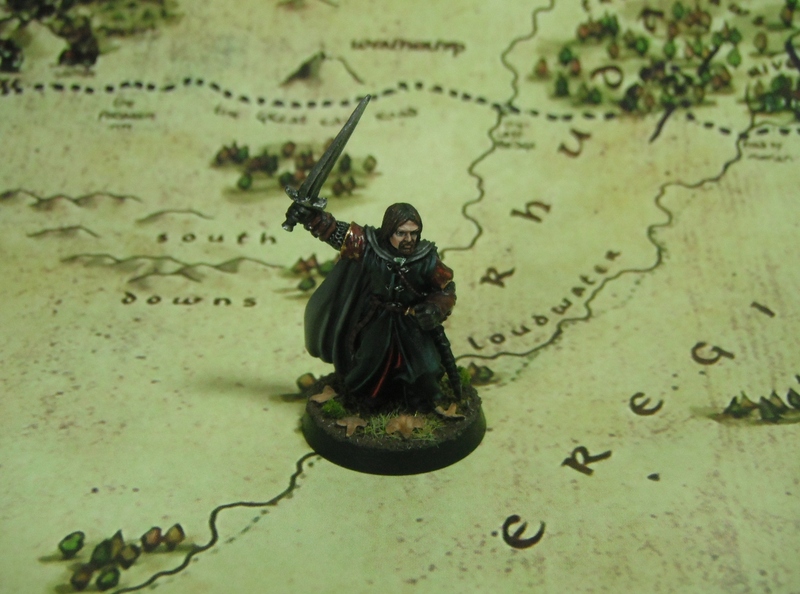 Boromir is now finished and based. For the leather jerkin I tried to emulate the slightly blueish tint that you see in the films. 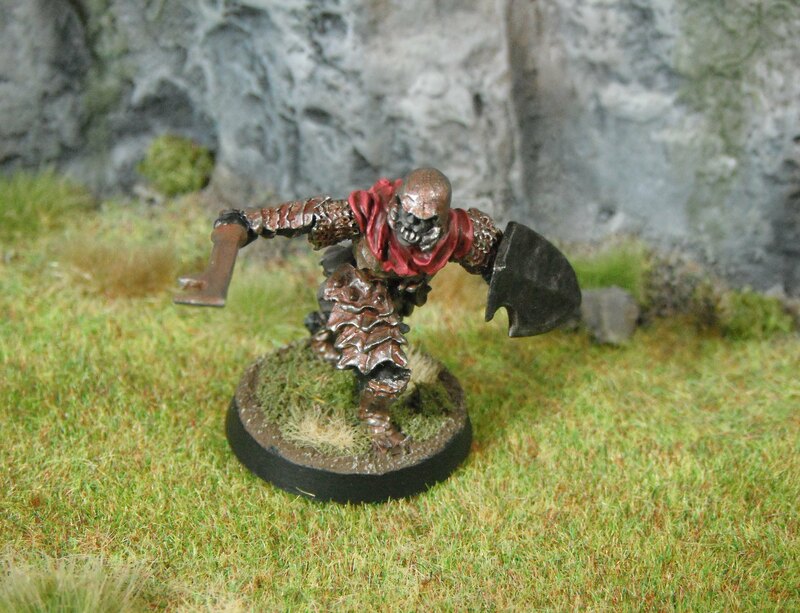 This was done by highlighting the black with Dark Reaper and Thunderhawk Blue. Not only does this match the films quite closely, but the blue/black is more visually interesting than simply highlighting black with grey. 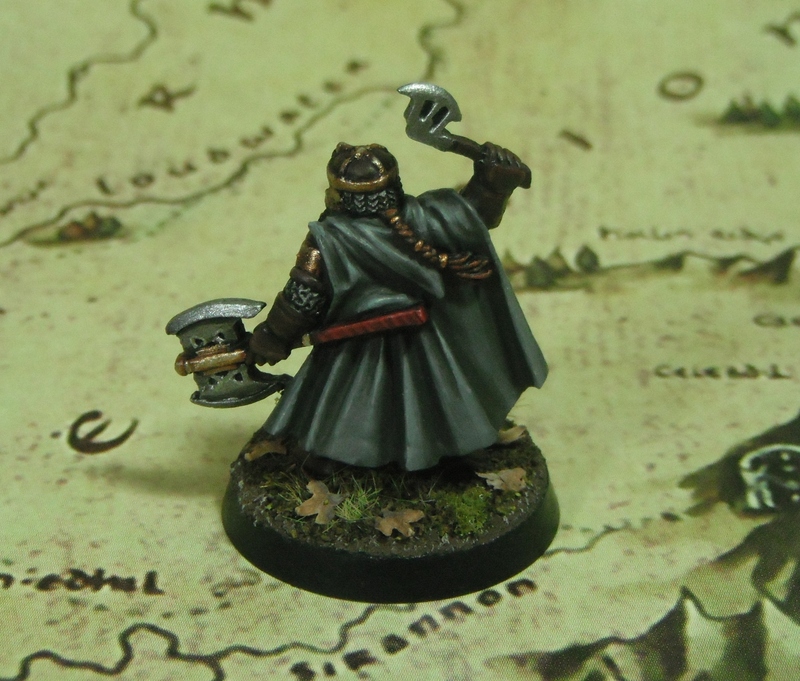 Over all I am very pleased with how Boromir has turned out. 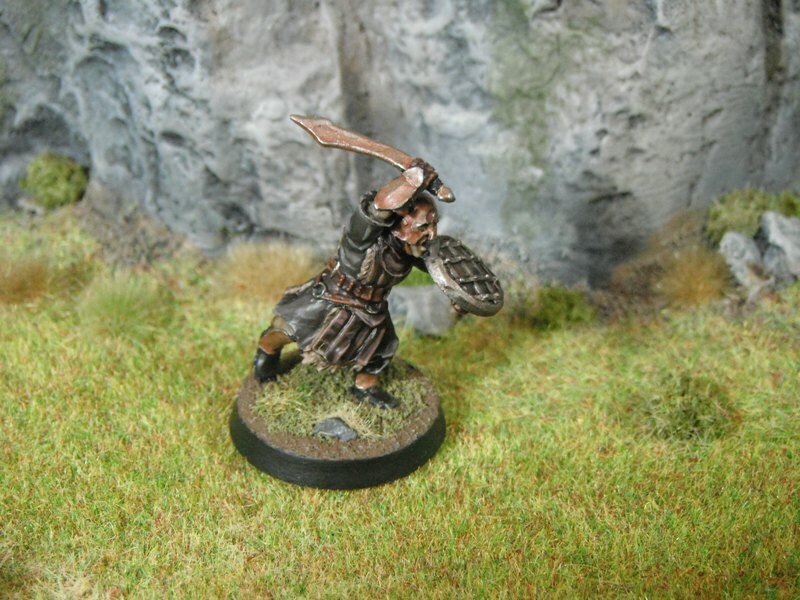 This is a great model and one of my favourite poses from the Breaking of the Fellowship set. There was a tall man with a fair and noble face, dark-haired and grey-eyed, proud and stern of glance. His garments were rich, and his cloak was lined with fur and he had a collar of silver in which a single white stone was set; his locks were shorn about his shoulders. On a baldric he wore a great horn tipped with silver that now was laid upon his knees. 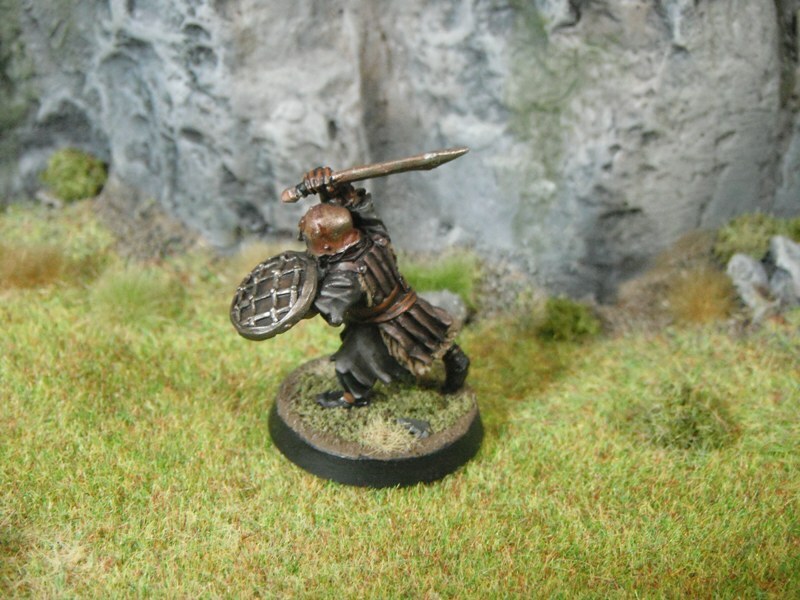 The base, as with all of the other members of the Fellowship, was painted VMC German Camo Medium Brown lightly drybrushed with Bleached Bone. 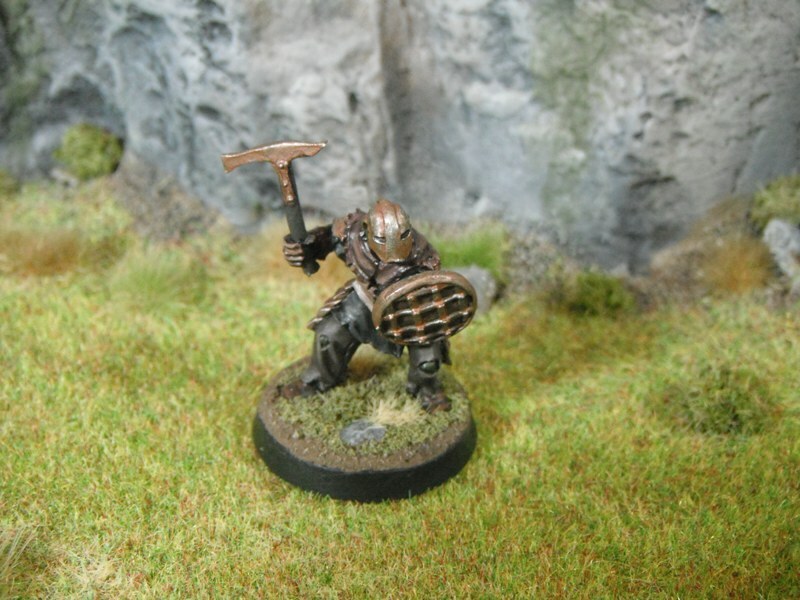 Various flocks, clump foliage and tufts were used to build up the bases. Finally, birch seeds were added to simulate fallen leaves. 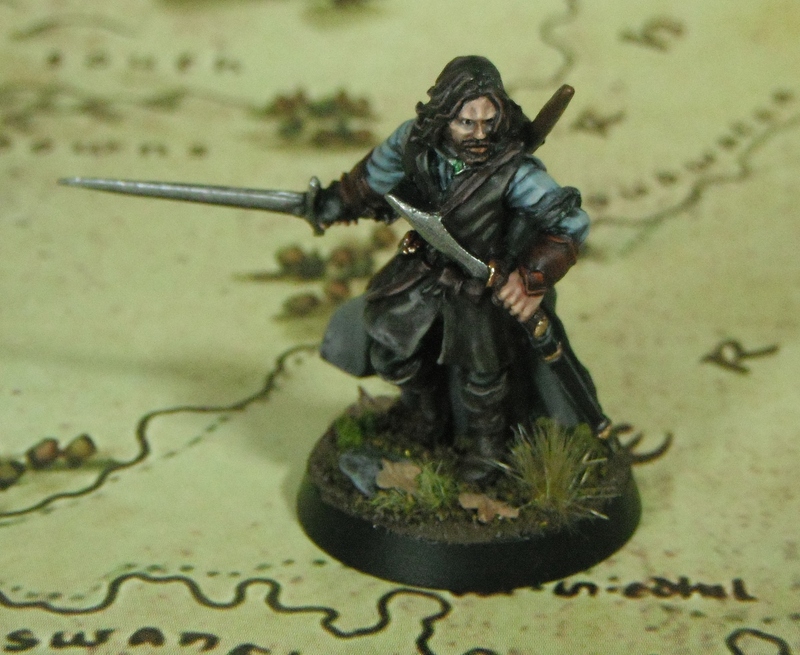 Another member of the Fellowship finished, Aragorn. I am Aragorn son of Arathorn and am called Elessar, the Elfstone, Dúnadan, the heir of Isildur Elendil’s son of Gondor. Here is the Sword that was Broken and is forged again! 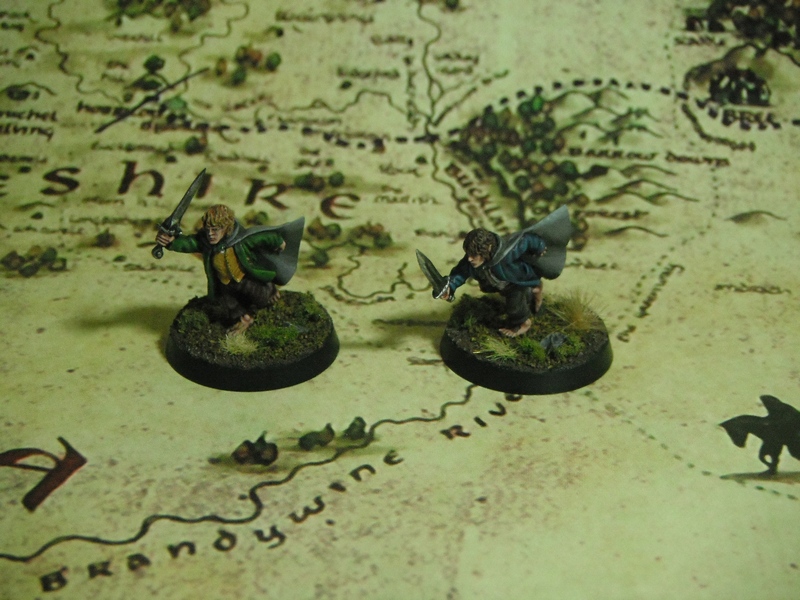 Hopefully I will be finished with this set soon, Boromir and Gimli are nearly finished (they just need basing) and I’ve started work on Legolas. 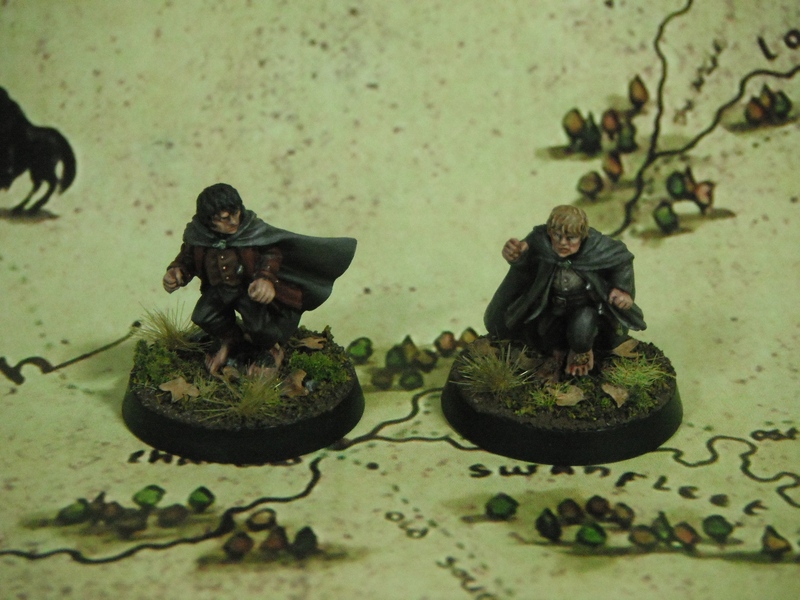 I’ve also been working on other Tolkien-related models which I will share with you soon (check out my Twitter feed for a sneak peak @Mini_Miscellany).